A tag is a label attached to a lead to identify, give information, and group people of the same interest/subject/event/etc. 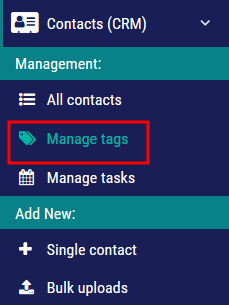 Tags allow you to put your contacts in separate groups such as email campaign groups and to classify them with key pieces of information. 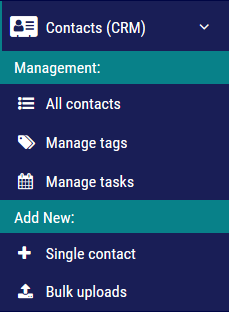 They are not preset, so you are not limited in how you label your contacts. 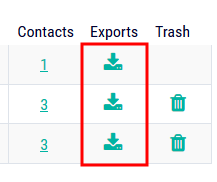 To remove a tag, simply click on “x” to the left of a tag.